Waterproofing system provides protection to the structure from water ingress. The practice of waterproofing dates back to ages where the different techniques used were bituminous, metallic sheet, poly-urethane based and so on. The crystalline waterproofing system works in a system where there are certain insoluble crystals which block the water bearing capillaries. This is a cement based system and is commonly used for the terrace gardens, balconies, basements, bathrooms, water tanks and other water bodies. There are two main components involved for the successful working of the flexible membrane waterproofing system, Liquid Component and Powder Component. The liquid components acts as an acrylic emulsion and the powder component performs the function of a forming chemicals and fillers with polymer-modified cement. The combination of these two components forms slurry which is applied to the surface area needed to waterproof. Moisture and Humidity knows very well to find its way and seep into the interiors of your place thereby causing significant damage. It is very important to waterproof your home or building from all possible damage. No waterproofing can lead to the development of cracks, paint peel off and even molds, mildew and air contaminants. It is also a great risk for the structure and foundation of the building. Not only for the building, it can also create health problems for the inhabitants. They also develop a musty smell which gradually increases making it difficult for the inhabitants. Make sure you choose the best firm for waterproofing. If you select cheap waterproofing contractors you can also expect your work to be of cheap quality. Before starting the waterproofing work give proper consideration to the area you need to waterproof in order to get an idea on the intensity of work to be done. The right waterproofing system should be used according to their area of specification. That is, there are certain types of surfaces where crystalline waterproofing system is more suitable than the flexible membrane waterproofing system and vice versa. Though the products are of utmost quality there are fewer chances that you get the desired results. Use the products before the expiry period. After which the application would not bring any desired results. 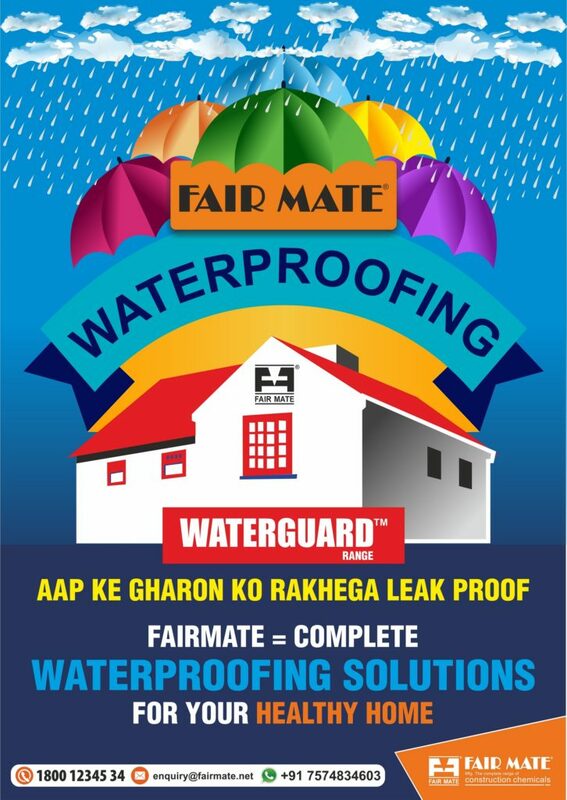 It is always recommended to go for those waterproofing companies which are BBB accreditation. In spite of spending a lot on this you deserve to get your waterproofing work last. 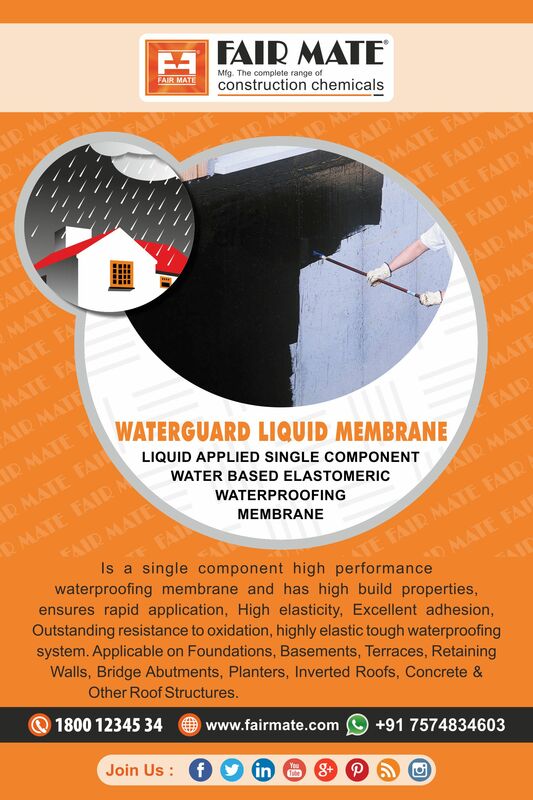 WATERGUARD LIQUID MEMBRANE is a single component high performance waterproofing membrane with high elasticity and low water permeability. WATERGUARD LIQUID MEMBRANE is particularly suitable for a wide range of applications including wet areas, foundations, basements, terraces, retaining walls, bridge abutments, planters, inverted roofs and remedial repairs to felt, asphalt, concrete, fibreous cement or other roof structures when protected from exposure to direct sunlight. Liquid application, easy to apply. High build properties ensure rapid application. High elasticity, ensuring a permanently flexible barrier over a wide range of temperatures. Can be applied to a range of substrates. Outstanding resistance to oxidation and brittlement. WATERGUARD LIQUID MEMBRANE is a highly elastic tough waterproofing system based on modified bitumens water based co-polymer. WATERGUARD LIQUID MEMBRANE is highly resistant to aggressive soils and soluble salts providing an effective continuous barrier and protection against water bourne damage. WATERGUARD LIQUID MEMBRANE is ideally suited as a vapour/salt barrier to building facades behind granite, marble, stone cladding, and curtain wall elements.